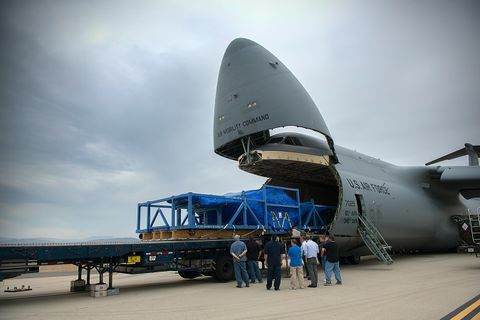 PALMDALE, Calif. – July 23, 2013 – Northrop Grumman Corporation (NYSE:NOC) delivered the center fuselage for Italy's first F-35 Lightning II to the newly commissioned Final Assembly and Check Out (FACO) facility at Italy's Cameri Air Base July 12. This on-time delivery to Lockheed Martin enables the first assembly of an F-35 aircraft at the FACO facility and increases international participation on the F-35 program. 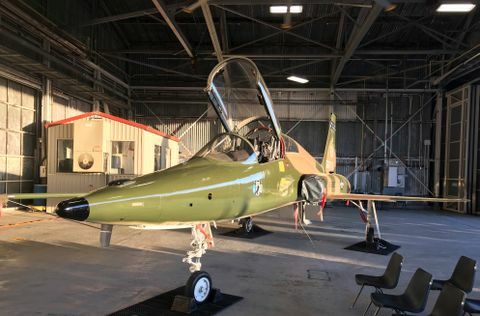 The center fuselage, AL-1, will be integrated into a conventional takeoff and landing variant of the F-35, and represents the first of 90 center fuselage sections that will be delivered to the Italian FACO facility for Italian aircraft. 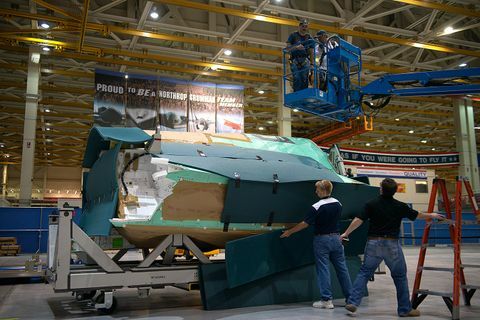 "We started working on AL-1 in September 2012, when it was inducted into our Integrated Assembly Line [IAL] at our Palmdale facility," said Michelle Scarpella, vice president of the F-35 program for Northrop Grumman. "It's the 115th center fuselage we've completed here in Palmdale, and marks another program milestone, as we continue to stand up and grow international F-35 participation." The IAL maximizes robotics and automation, providing additional assembly capability while meeting engineering tolerances that are not easily achieved using manual methods. The IAL is central in producing the F-35's center fuselage as well as increasing the program's affordability, quality and efficiency. 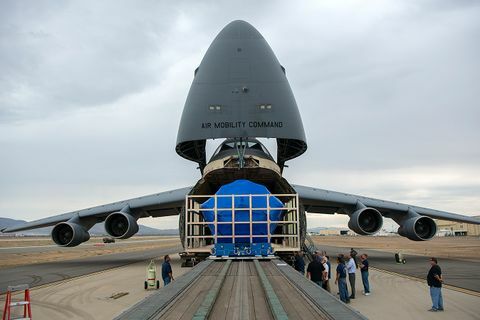 Currently, there are 35 center fuselages in flow on the IAL, including some for Australia and additional ones for Italy; deliveries have already been made to Ft Worth for final assembly and delivery to the Netherlands and the United Kingdom. Set on 101 acres in Italy's Piedmont region, the FACO facility at Cameri will be one of a kind in Europe. With 22 buildings, more than a million square feet of covered work space, 11 final assembly workstations – including four outfitted for electronic mate and assembly – and five maintenance, repair, overhaul and upgrade bays, the FACO at Cameri is positioned to serve as a new hub for the Italian aerospace industry. As a principal member of the Lockheed Martin-led F-35 industry team, Northrop Grumman performs a significant share of the work required to develop and produce the aircraft. In addition to manufacturing the F-35 center fuselage, Northrop Grumman designed and produces the aircraft's radar and other key avionics including electro-optical and communications, navigation and identification subsystems. 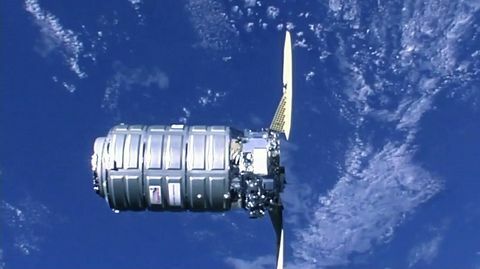 Northrop Grumman also develops mission systems and mission planning software, leads the team's development of pilot and maintenance training system courseware, and manages the team's use, support and maintenance of low-observable technologies. In 2012, the company delivered 32 center fuselages and is on track to exceed 2012 delivery quantities in 2013.